This is one of those posts which is due for a long time. 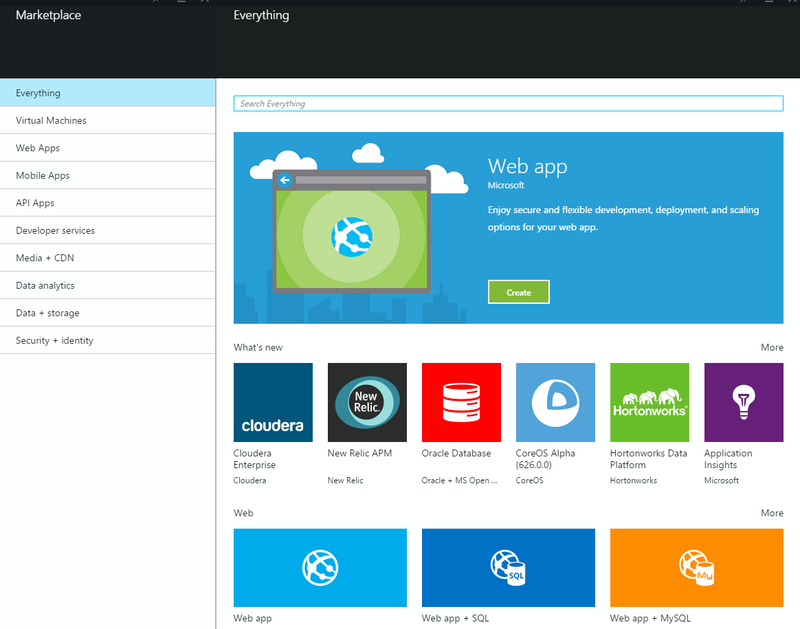 I was really excited when Microsoft announced the release of an AlwaysOn AG template for the Azure Portal back in August 2014. 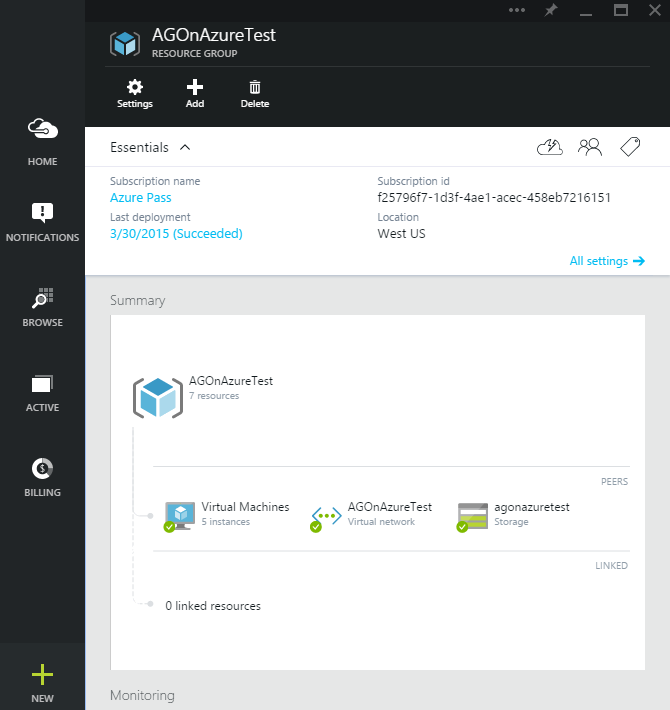 I had decided to explore this AG template soon after the launch, and this post will explain how easy it is to deploy a 2 node AlwaysOn AG deployment in Azure. 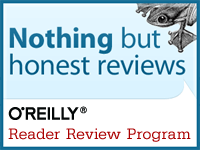 Trust me, it’s just a matter of few clicks. You will be surprised to see the number of options which are available in market place now. 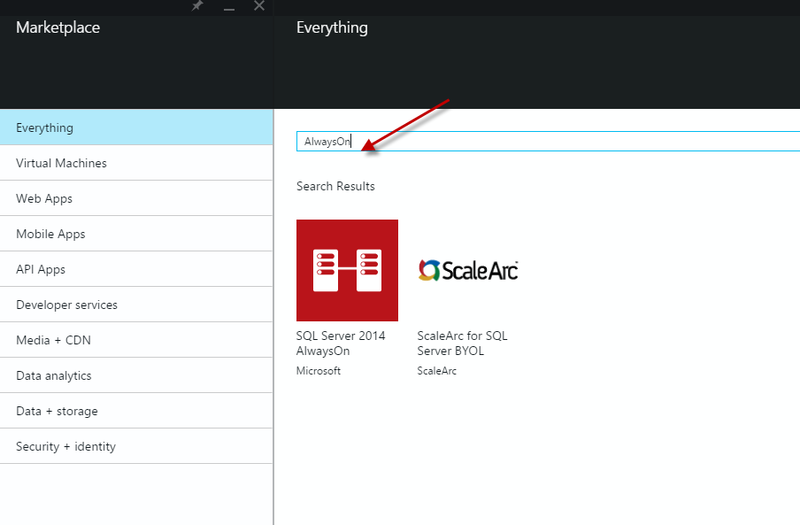 Search for AlwaysOn ( I really hope MSFT will correct this, it should be rather be AlwaysOn AG) in the search box. 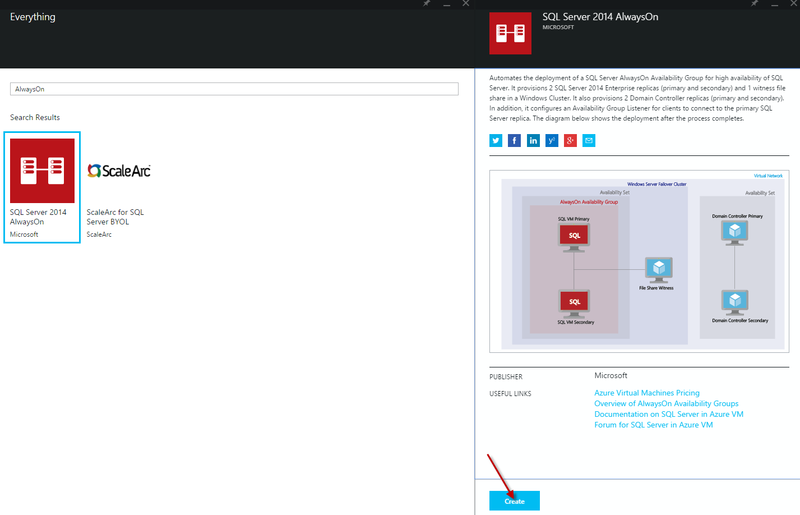 Choose SQL Server 2014 AlwaysOn and proceed by clicking Create. 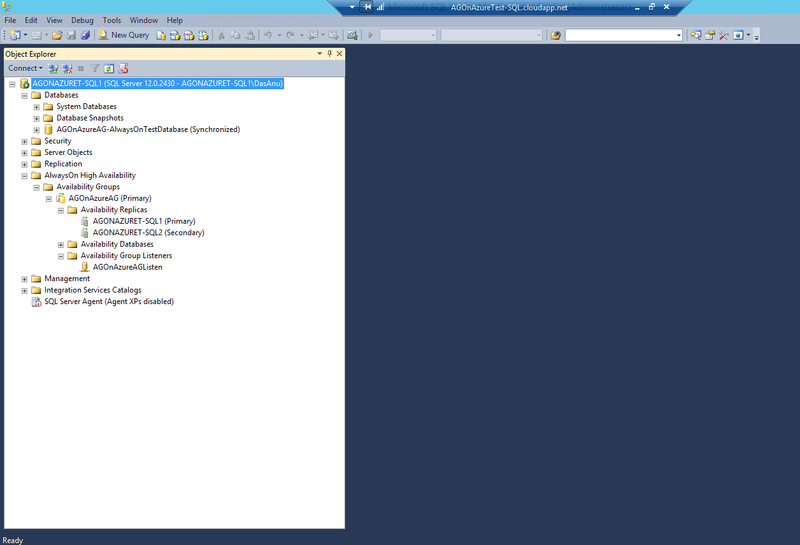 Enter details for the required fields and also select the details needed for SQL Server settings. 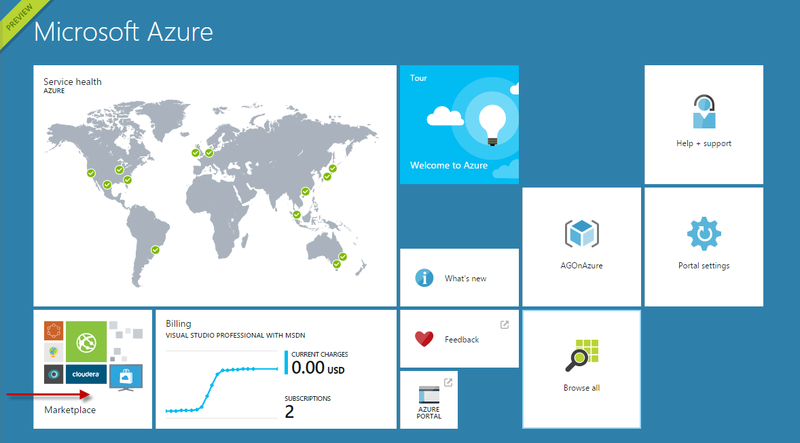 For the purpose of this post, I will be choosing default settings for the domain controller,virtual network,storage etc. Note : Ignore the warning messages in the picture above.Warning for Resource Group is shown as I already have a RG with the same name. That’s it, and you click create. It takes around 40 – 45 minutes for the whole process to complete and once it was completed, I had the below set of virtual machines. 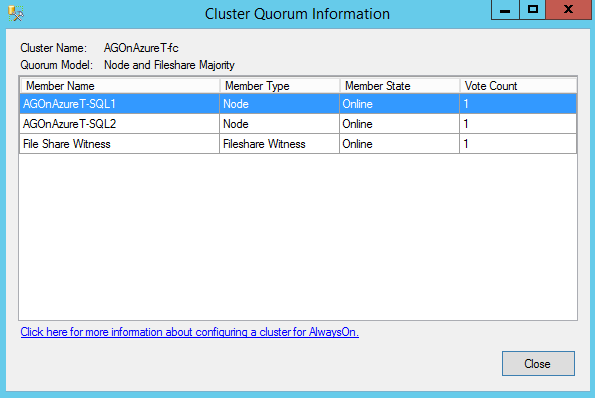 2 machines for the domain controllers, 1 for the file share witness and 2 for the AG nodes. 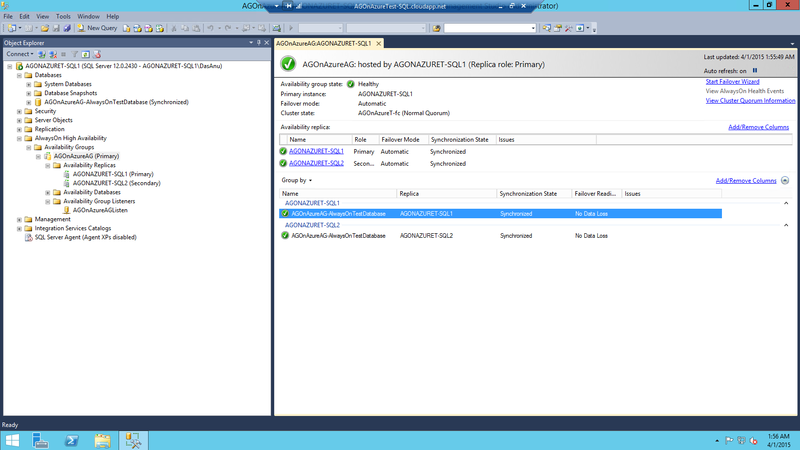 If you login to one of the SQL nodes and open up SSMS, you can see that AG is fully configured and its ready for use. Templates are interesting, and this is an excellent way of deploying AGs in large-scale. I’m pretty sure that MSFT will be working more to optimize this, and will add more and features to it.Looking forward to it. Thanks for reading, and keep watching this space for more. 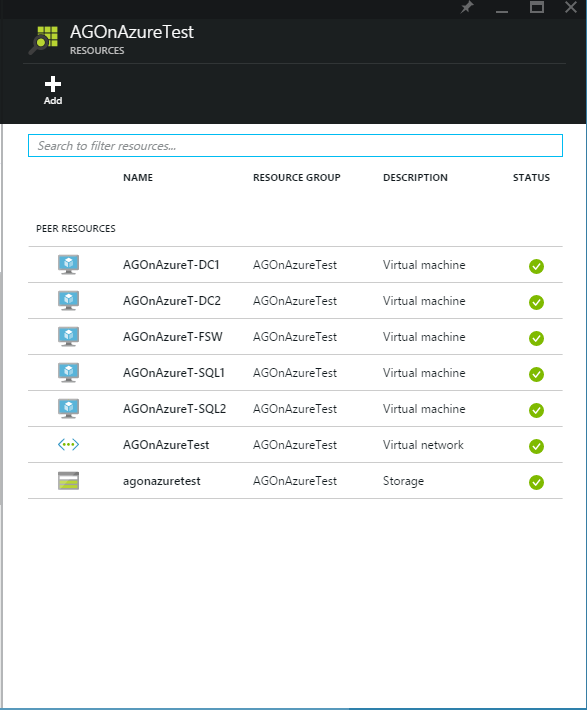 This entry was posted in High Availability, Microsoft Azure, SQL Server 2014, Windows Azure, Windows Azure VMs and tagged AGTemplate, alwaysonag, DR, HighAvailability, sqlserver2014. Bookmark the permalink. 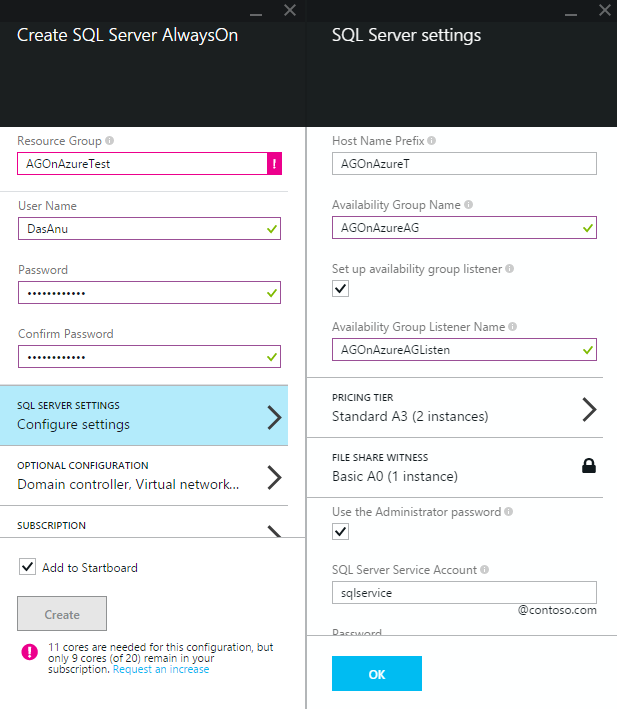 ← This one enhancement makes AlwaysOn Availability Group better in SQL Server 2014 !